We arrived in Colorado today, just in time for tornado warnings. We (Sharon, the CEO, Blake, our in-house-green-house guy and me) for the LOHAS Forum. We’re staying at the Boulder Outlook Inn, the city’s first zero waste hotel. 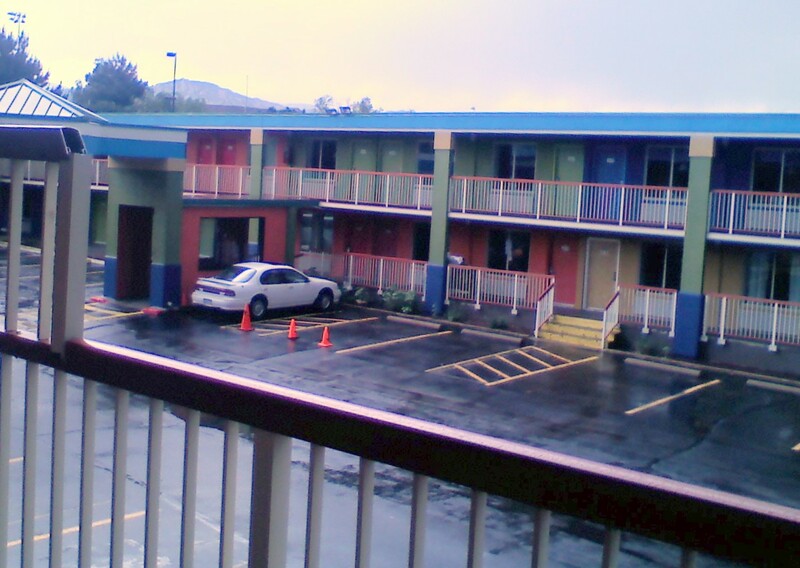 It’s a totally renovated motel (it was probably a Howard Johnson’s or Super 8 before), complete with outdoor hallways. This place is FUNKY; the hotel’s painted in very cool colors, the restaurant serves a great assortment of vegan and homecooked foods and they have blues and jazz jams in the bar almost every night. SWEET! The inside of the rooms are pretty basic but very clean. There are recycling canisters for everything and it’s totally smoke-free (a real relief after the inundation of chemicals I experienced while flying here today). Tonight we’re off to check out the “Republic of Boulder.” Who knows what we’ll find. Stay tuned. p.s. Just over the rooftop in this pic you can see the top of the FlatIrons, a wonderful hiking area that we tried last year. More to explore.